With naturally primitive features, Paradise Cave looks like a landscape painting; making it a natural wonder that many have enjoyed since its opening in 2010. According to spelunkers (cave explorers), the deeper one journeys into the cave, the more one feels the wells of heavenly clarity all around. The cave can reach up to 72 m high and up to 150 m wide. There are a series of white crystal stalactites (limestone deposits) resembling natural pillars and many other spectacular formations. Paradise Cave (Hang Thien Duong) was discovered by scientists of the British Caving Research Association in 2005. 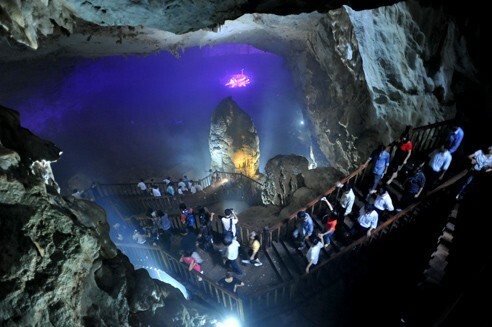 It has a length of 31.4 km and is the longest dry cave in Asia. 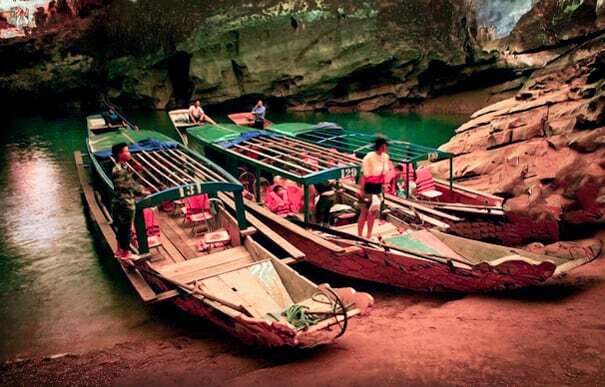 07:45 You will be picked up at hotels then exploring National Park core zone and Paradise cave -the longest dry cave in Asia (located in Phong Nha - Ke Bang National Park's core zone, 25kmabout Phong Nha cave, 75 km about Dong Hoi and 1h20 minutes driving) at the rest of the day. "Fairy Caves", the "Royal Court", and the "Buddha". 17:00 Get back to hotel.